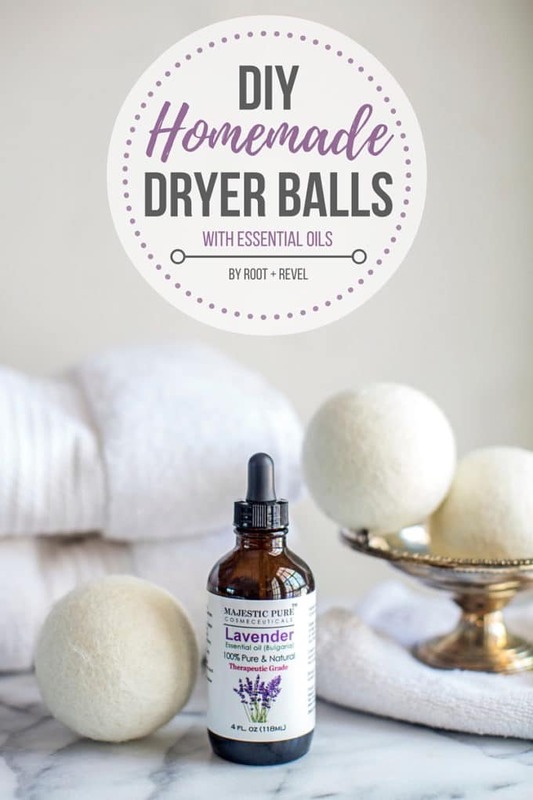 Toss toxic dryer sheets and fabric softeners for a natural alternative: wool dryer balls with essential oils are safe, energy-efficient, wallet-friendly and effective! 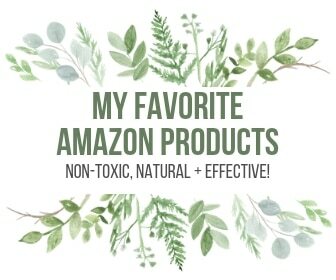 We’re back with another natural alternative to popular store-bought products. If you’re like me, you’ve likely used dryer sheets and fabric softener for years, naively believing they softened your laundry and made your clothes smell fresh and clean. In reality, these products are toxic and harmful–just look at the EWG’s ratings for dryer sheets. Almost all of them score a D or an F, even the ones with green marketing on the box. But what does this really mean? According to the EWG, fabric softener and dryer sheet ingredients can cause allergies, asthma and irritate our lungs. They coat your clothes with a layer of chemicals, most commonly “quats” (short for quaternary ammonium compounds) or “asthmagens,” as they can cause asthma to develop in otherwise healthy people, according to The Association of Occupational and Environmental Clinics, a leading international authority on asthma. Many “quats” also have antibacterial qualities, which might sound good, but freshly washed clothes are already plenty clean. So the overuse of “quats” may spur development of antibiotic-resistant superbugs. Meaning, there is such a thing as too clean. What’s more? Most fabric softeners and dryer sheets contain fragrance, which (as we’ve talked about many times here before) are actually made up of hundreds of untested chemicals including toxic ingredients like phthalates, parabens and synthetic musks, which are suspected hormone disruptors and are among the world’s top five allergens. 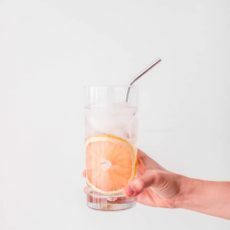 As if that weren’t enough, many fabric softeners and dryer sheets also include human carcinogens acetaldehyde, formaldehyde and 1,4-dioxane, the developmental toxicants methyl ethyl ketone and chloromethane, and allergens like linalool. These substances, when used in our laundry, coat our clothes with these chemicals AND vent out into the air, further damaging our environment. The solution: 100% wool dryer balls. By bouncing around in the dryer, wool dryer balls separate and lift laundry items (works on clothes, towels, sheets, etc. ), increasing hot air flow. This, in turn, reduces static, cuts down on drying time and softens laundry naturally. 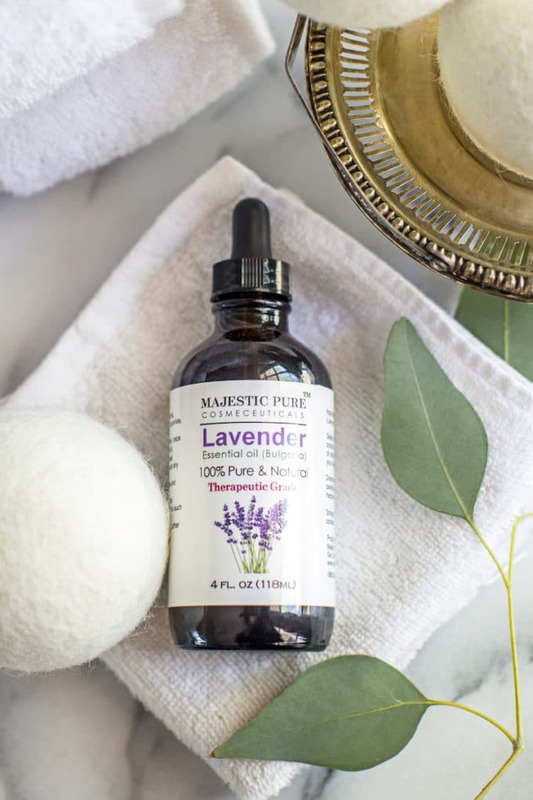 Plus, when you add essential oils (I recommend Lavender), you’ll get a lovely, subtle scent on your laundry that’s safe and non-toxic. Still not convinved wool dryer balls are the way to go? Dryer Balls are Safer: As mentioned above, dryer sheets and fabric softeners are toxic to our bodies and to the environment thanks to chemicals and synthetic ingredients. 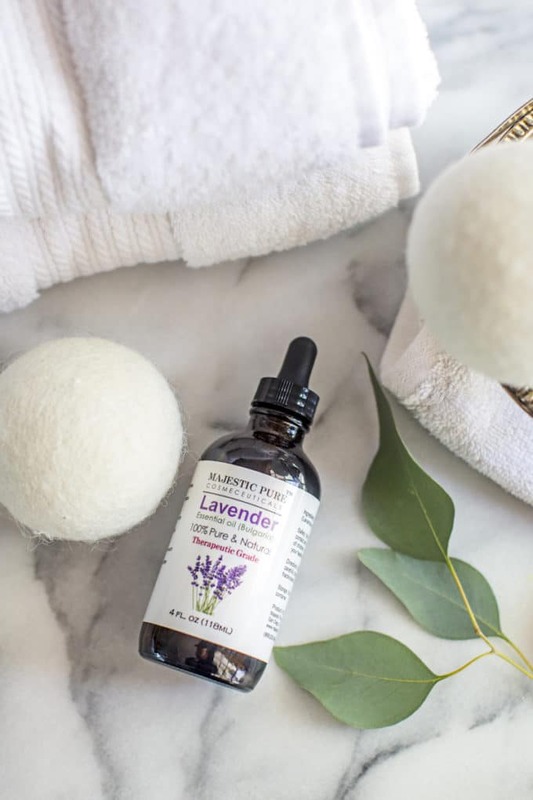 Compare that to all-natural dryer balls, which are made with just 1 ingredient (wool) and thus are safe, non-toxic and great for those with sensitive skin. Make sure you get wool dryer balls, and not the environmentally-damaging plastic dryer steamer balls. Dryer Balls Are Cheaper: The average cost of a box of 240 dryer sheets is $10 (based on Amazon prices)–for math nerds scoring at home, that’s $0.04/load. Compare that to wool dryer balls (I buy mine on Amazon for less than $20), which last for over 1,000 loads–that’s $.018/load. 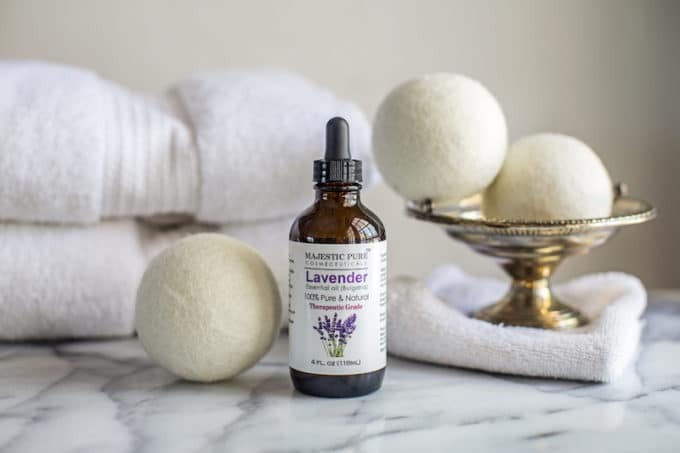 So not only do wool dryer balls save you money with their energy efficiency, they are also cheaper to purchase and use than traditional dryer sheets. 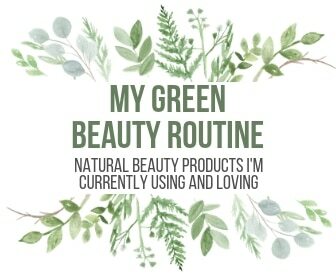 It can be scary to read about all of the harmful, toxic chemicals found in the products we’ve been using every day. But fortunately, there are some super easy, affordable swaps that can ease your mind and your wallet. Give wool dryer balls a try and let me know what you think! P.S. 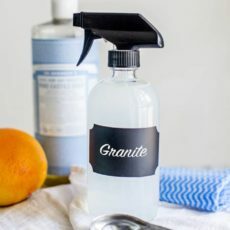 If you’re concerned about your cleaning products, I highly recommend reading EWG’s Guide to Healthy Cleaning, particularly this report that answers dozens of FAQs about home cleaning products and highlights which ingredients to avoid. Add 3-4 drops of essential oil to each dryer ball before doing laundry. When ready to place laundry in the dryer, add dryer balls--3-4 balls per medium load, 5-6 balls per large load. Turn on and run normally. Do not use dryer sheets or fabric softener, the dryer balls will do the job of both. This may be a silly question but, do the balls even need washing? Do you have any cruelty free alternatives to these wool balls? Not that I know of, sorry! Let me know if you find one. I’ve added 3-4 orange drops per ball and let them sit for an hour, then dried my clothes. However when the clothes come out there is NO orange scent and the balls no longer smell like orange. I used all 6 balls and have tried this multiple times. Does anyone know why this is happening? Hmm, you could try adding a few more drops perhaps? 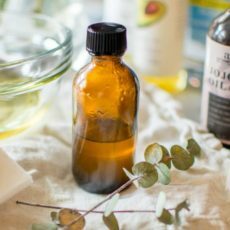 Are you using a high quality essential oil? I wouldn’t add the oils until you are ready to toss the balls in the dryer, as most essential oils are alcohol based. Maybe the oils just evaporated. Or is there some reason that I missed we are supposed to be letting the balls sit after adding the oil?? I found that the orange doesn’t leave a lasting scent. So I switched to lemon & eucalyptus. This scent lasts on my clothes. How do you keep the oils from spotting the fabrics? I wound up with oil spots on the clean clothes. How much oil did you use, Monica? I’ve never had that problem just putting a couple of drops per ball. I’m so sorry this happened to you! I had been looking for a replacement for my dryer sheets. These balls smelled so good! I am ordering some of these today. 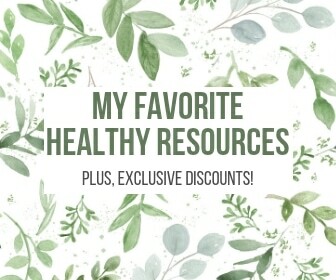 I love that you can save money, reduce waste and decrease your exposure to toxins all at the same time. Easy decision! Where are wool balls available for purchase? Hi, Debbie: When you click on the links for the wool balls it will take you to Amazon where you can purchase them. Thanks! 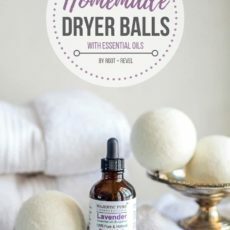 I love wool dryer balls but have concern about the safety of putting any kind of oils into a dryer. The fire/combustion risk is very dangerous. 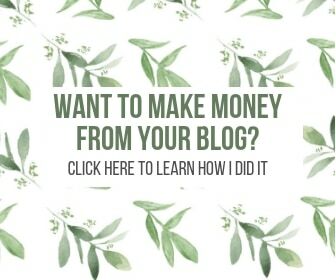 wool dryer balls – would you please clarify. : Should the essential oils be added to the wool balls before each dryer time or just initially or periodically e.g. after 10 loads or such? Thank you for this information. I did not realize the degree of toxins in my dryer sheets and fabric softener.